Day by day, employers receive hundreds — if not thousands — of job applications regularly. With those numbers, it’s fairly easy for your own resume to get lost in the pile. How do you make sure your papers move from the bottom of the stack right to the top? Customize your resume with the right information to help you fit the job. As you may have seen in it the ads, employers tend to list a specific outline of the type of employee they’re looking for. Use that to your advantage by organizing your resume in a way that it perfectly syncs in with the company’s needs. Proofread your resume with careful consideration at least twice, or thrice. Grammatical and clerical errors are not only embarrassing, but they might just cost you your chance of landing the position, too. 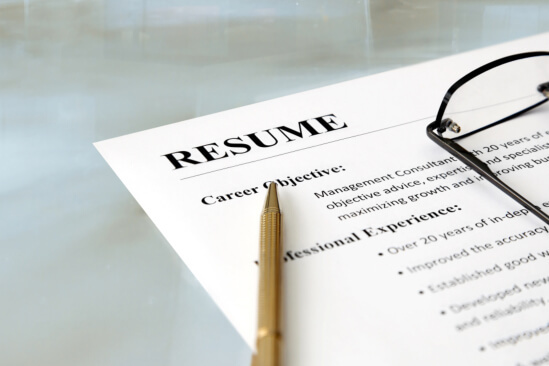 Be sure to avoid that by reviewing your resume several times before turning it in. If you can, try asking a friend to do a quick spot check for you. Pair your resume with a cover letter. With a cover letter, your resume will have more chances of being reviewed. Set your font styles and colors at a minimum to keep your resume professional. And lastly, don’t forget to use a strong header too. Emphasize your resume with power verbs. It’s fairly normal for employers to want results. But, how can you tell them that you’re capable for the job with your resume? Easy — cite examples from your previous work experience on how you were able to tackle an issue. Start your phrases strong keywords such as “rectified,” “initiated,” or “resolved.” It’s okay to use several powerful words, but be sure not to overdo them either. Showcase your resume with a list of achievements. There’s no need to be shy! Employers look through your past accomplishments in order to assess what you can bring to the table when you get hired. Tabulate the achievements you have obtained in your previous place of employment and keep them in line with the needs of the company. That should make your resume a lot easier to read. All in all, a resume should be long enough to summarize the career growth you have experienced and the untapped potential you have still to offer. Yet, at the same time, it should also be short enough that it can be easily skimmed through in one sitting. When you’re done rearranging your resume to perfection, reach out to Jack of All Trades Personnel. We are an Employment Agency in Waco, Texas that can get you connected with numerous employers who are looking for personnel with your level of experience and expertise. Feel free to share this post with a friend who is also searching for Jobs in Waco, Texas. We’ll be sure to help you out in the best way that we can.